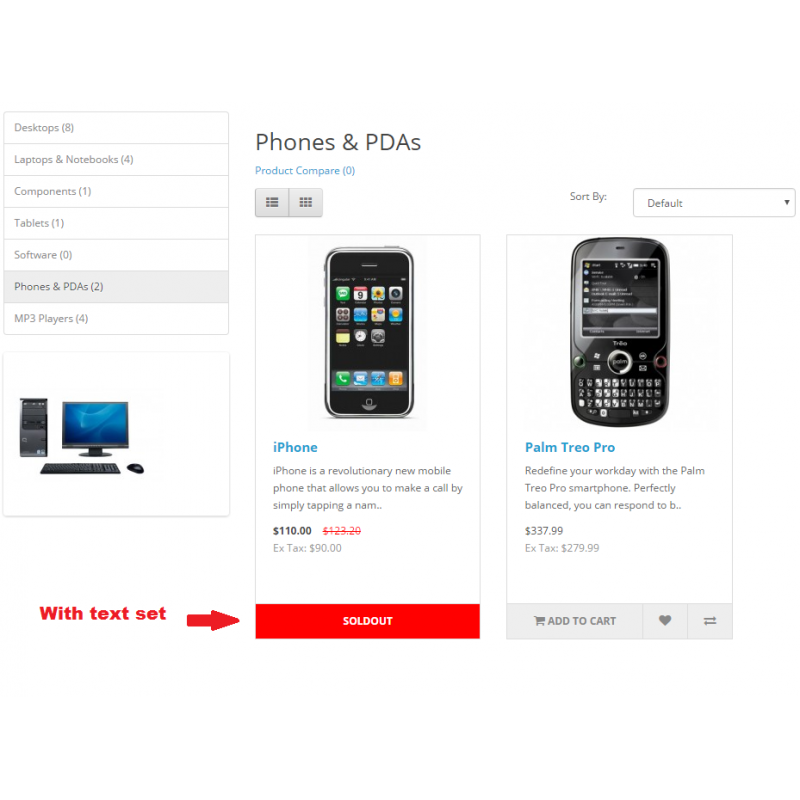 Make your webshop user friendly and let your customers know if a product is sold out. 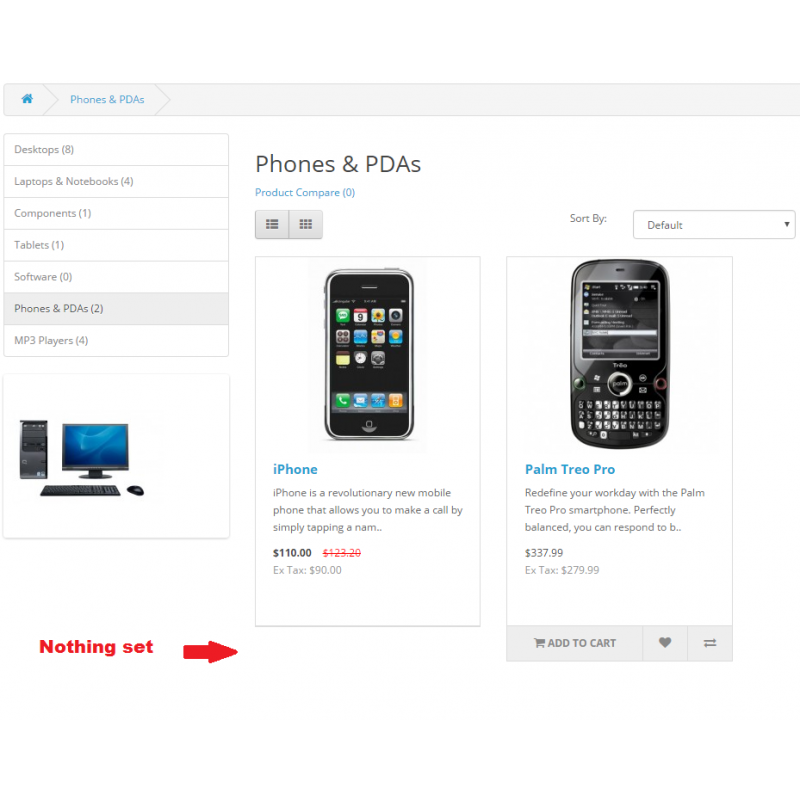 Nothing is more annoying then adding a product to your cart and then to discover it is not available. 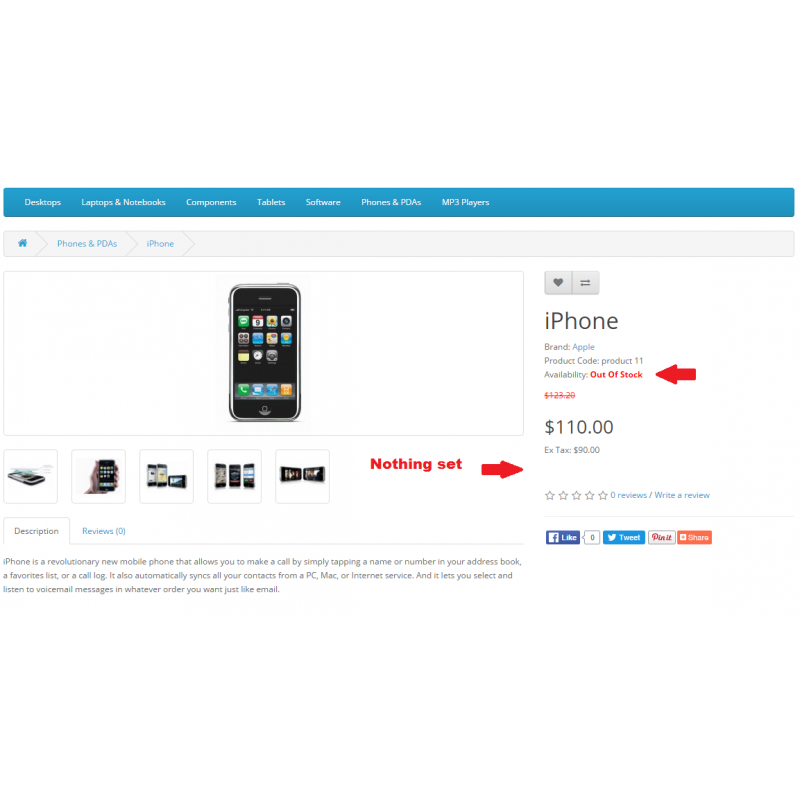 This extension will remove the "Add to cart" button and if you choose replaces it by a Sold Out image or text. And on the product page your "Out of Stock" status will be the color red. You can easily configure a custom image or custom text in Admin/ Settings. 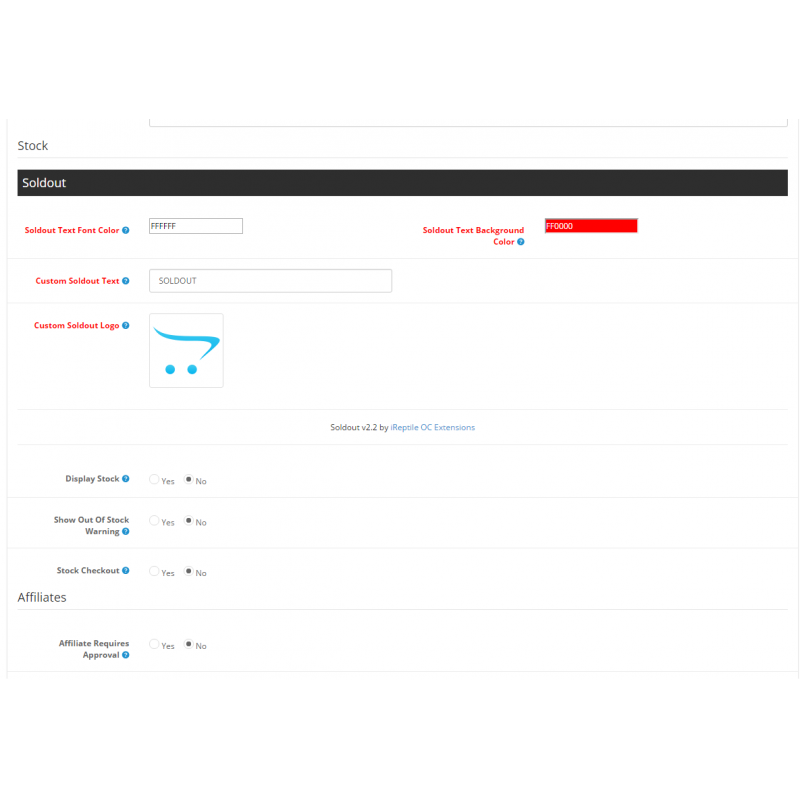 When nothing is configured the Add to Cart/Compare/Wishlist buttons will be removed when the quantity of a product reaches zero. 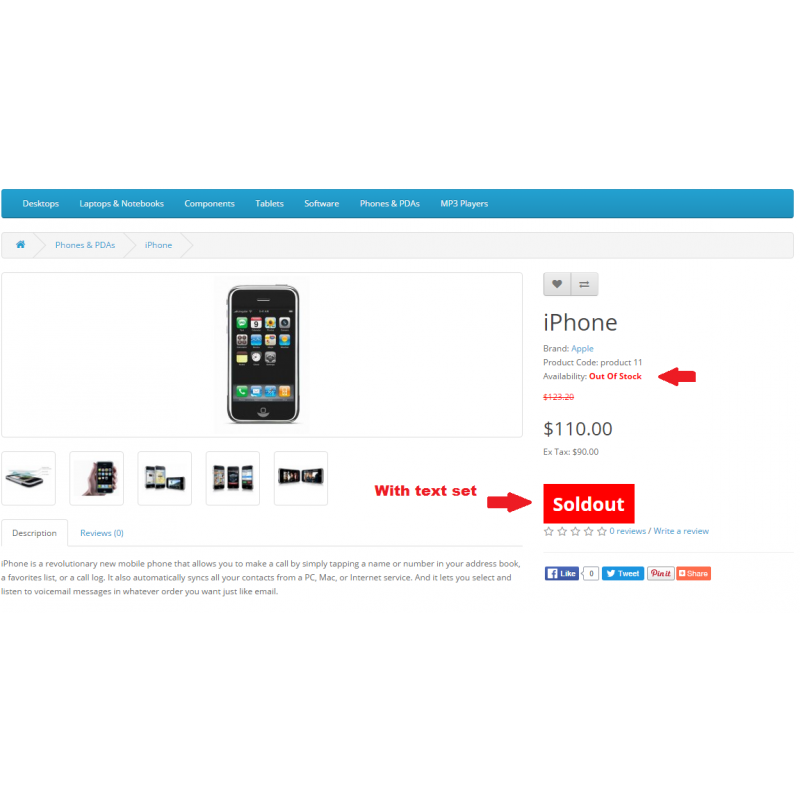 Included in the extension are 3 different sold out images you can use. 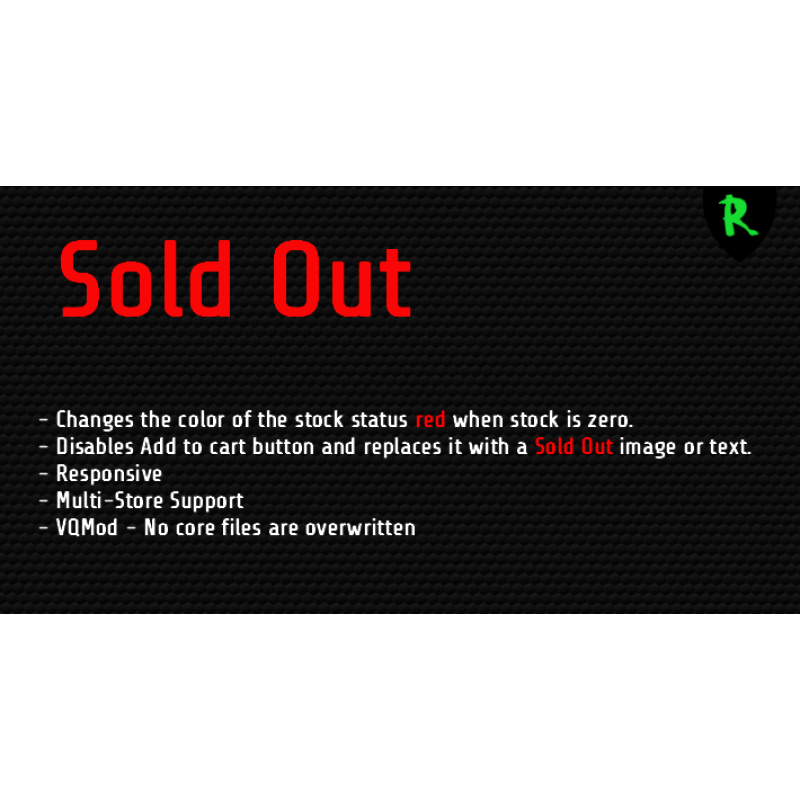 ✔ Changes stock status color red on the product page when stock is zero.